At Okoko Cosmétiques, we are committed to offering you incredible natural skincare products with amazing efficacy and performance. Our team members have formulation knowledge, good interpersonal skills and are trained artisans. 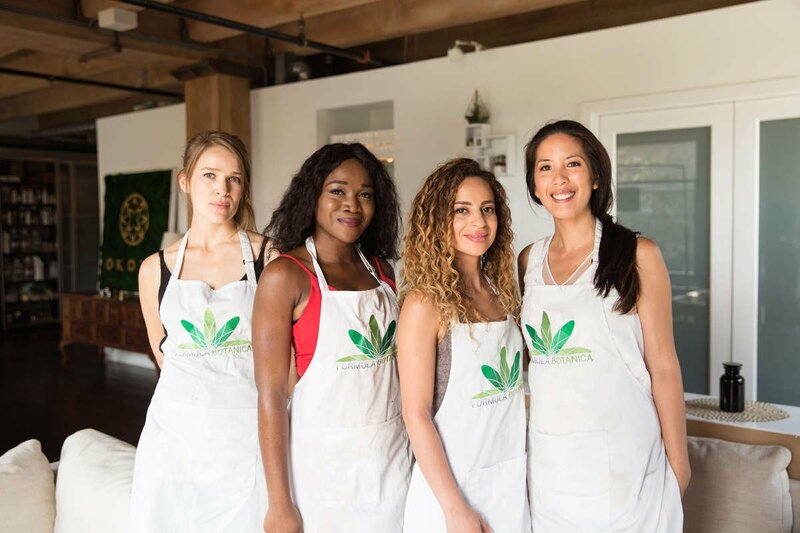 We empower our customers by sharing our expertise and knowledge through informative articles, personalized consultations and beauty/health workshops. The Okoko team is internationally diverse and speak different languages including English, French, Spanish and Mandarin and Cantonese. We embrace our cultural and ethnic diversity and celebrate what makes each of us unique and what connects us as entrepreneurs and global visionaries. Oyéta Kokoroko is a professional formulator of green luxury skin care products. She loves researching, understanding and developing next-level formulas. end of its second year total revenue had grown by over 500%. Okoko Cosmétiques currently retails out of online and brick-and-mortar boutiques in North America, Europe and Asia including Canada, Finland, France, Hong Kong, Macau, and Italy with more locations on the way. 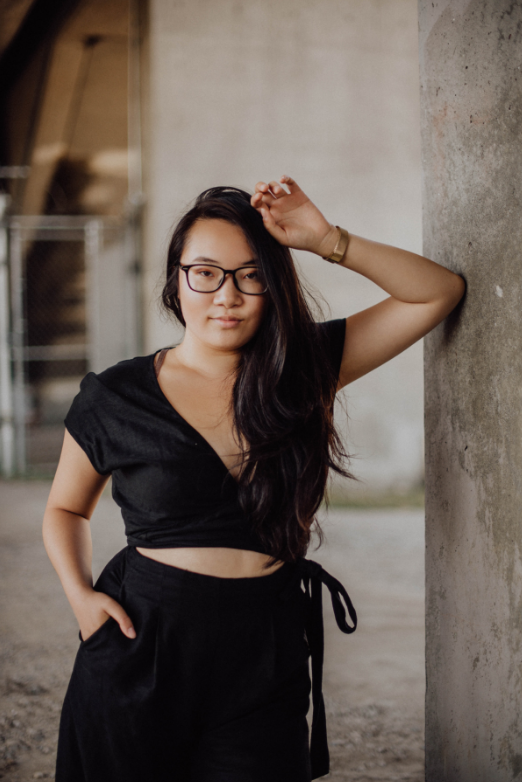 Recently, she launched her second project: The Connector , a networking and informative website for savvy entrepreneurs. The Connector is a resourced-filled platform that includes informative articles, business advice and networking opportunities for consumers and brands. 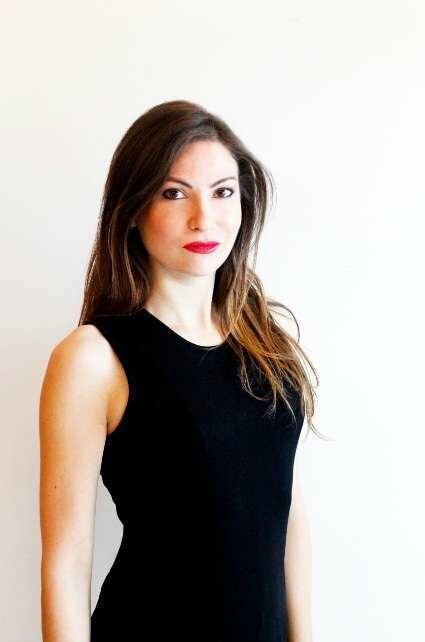 Check out Oyéta's articles on the Connector here. I knew that becoming an entrepreneur wasn’t going to be easy but I knew it’s what I wanted and still do! It was when I decided to take that leap of faith that I came across Okoko Cosmétiques while temporarily working with Ecodiva Beauty in Vancouver as a freelance skincare consultant and makeup artist in 2016. 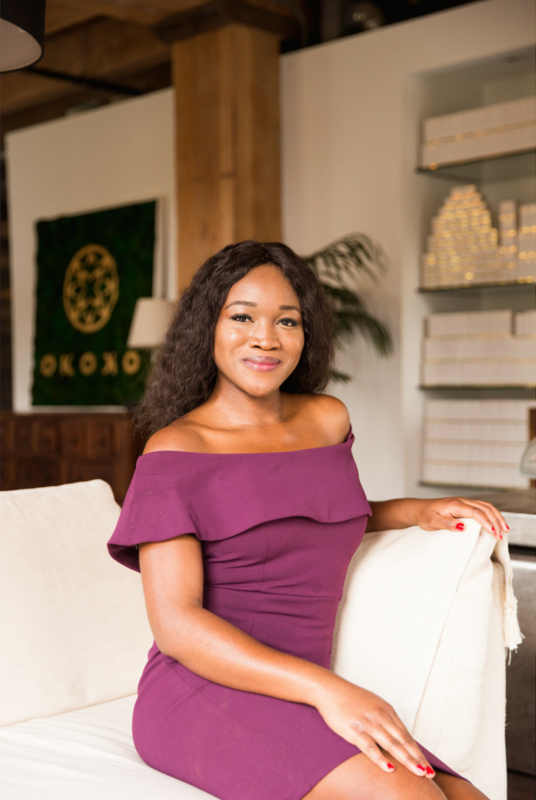 Through social media I came across this incredible luxury organic local skincare brand and immediately reached out to Oyéta Kokoroko, the founder and owner of the Okoko Brand. I instantly connected with her warm personality, strong vision, passion for knowledge and natural approach to beauty from the inside out. 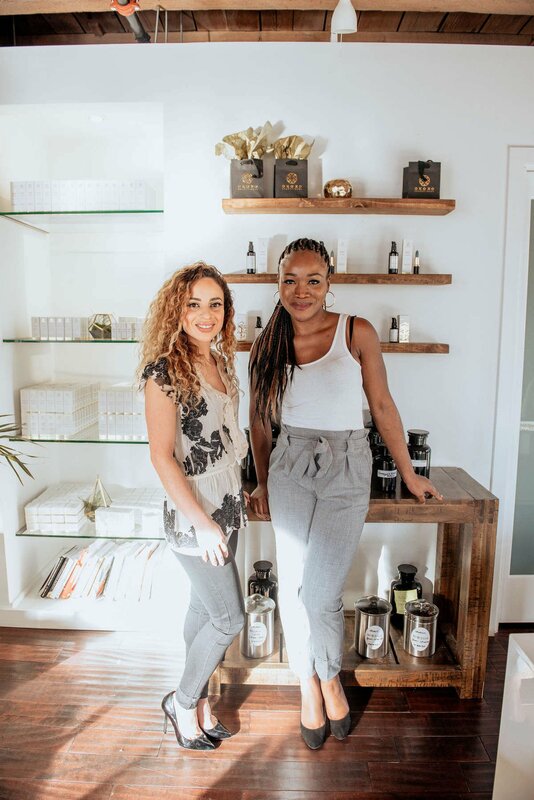 After recognizing the supreme quality of the formulas and performance of the Okoko line, I continued to collaborate with her freelancing until the opportunity came earlier this year to fully be a part of the amazing Okoko Cosmétiques Team as a certified skincare formulator. I have to say that ever since embarking on this part of my journey with Okoko I have learned in incredible amount about myself and how to be a successful entrepreneur despite the challenges and fears one might face. This summer, I dedicated myself to obtain my Diploma in Skincare Formulation through Formula Botanica and it was completely worth it. The level of knowledge I have acquired through both the technical training and hands on application and work has been fantastic! The values and company culture are so important within Okoko Cosmétiques. We value and cultivate authentic connection, sisterhood, dedication and excellence which is completely aligned with my personal values and outlook. 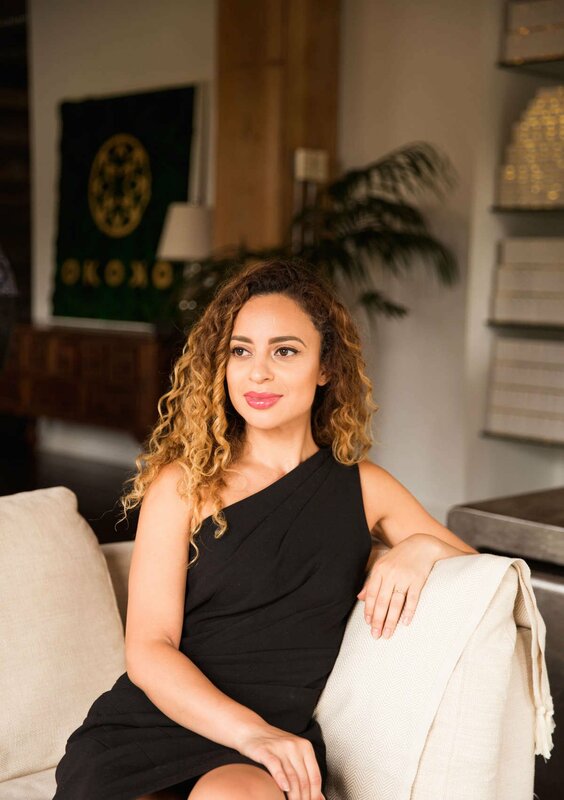 I am extremely excited to share and invite you to join this ever growing vision that I have become a part of through Okoko Cosmétiques and my personal blog: Naturally Natalia. Social Media Manager and well, I did not hesitate! My main tasks in this position will be to strengthen the visual identity of Okoko Cosmétiques, manage its various social media channels and develop The Connector platform. I will also be the lucky photographer of all pictures of Okoko Cosmétiques products you will see on the different social media and of course I will be interacting with all of you. I really look forward to expanding my skills within Okoko Cosmétiques and I am sure this will be an amazing journey! What I really like about Okoko Cosmétiques is how Oyéta empowers other women, Indie brands and people in general. She will always find the best part of you and push it forward. She is so inspiring. I am also a happy mum of two and our little tribe is passionate about travel and new discoveries. 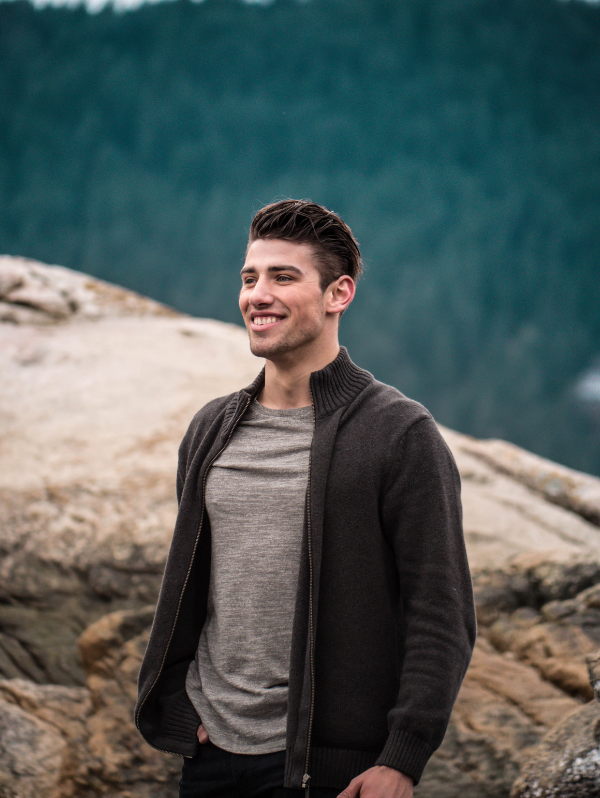 Tristan developed a passion for video and photo since a young age. At 22 years old he has started his own media company and shoots with clients from skin care and beauty to fashion and editorial. His goal with video and photo is to capture inspiration and create content that inspires and moves people to be more than mundane. outlet since 2015. Now 19 years old, she works as a freelancer outside of school hours. She mainly works in natural light, focusing on contrast and bold colours. Enza is a talented professional designer at Ultra Fine Design Studio. 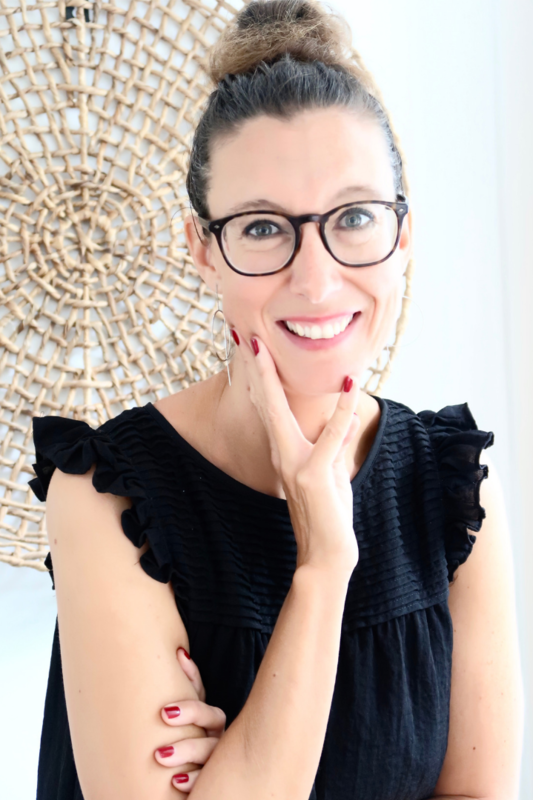 Based in Italy, she has collaborated with us since we launched. She has contributed to the creation of our new logo, label design as well as packaging and other promotional materials. We love working with her. Ultrafine Design Studio is a creative studio based in Venezia (Italy), working with local and international clients. We work with people who want to grow their brand, product or idea, no matter where you are or how small or big it is your project. We work to enter your world in order to provide you the most amazing and strategic graphic design. We provide solutions in terms ofgraphic identity, branding, packaging, webdesign, photography, art direction, and much more!